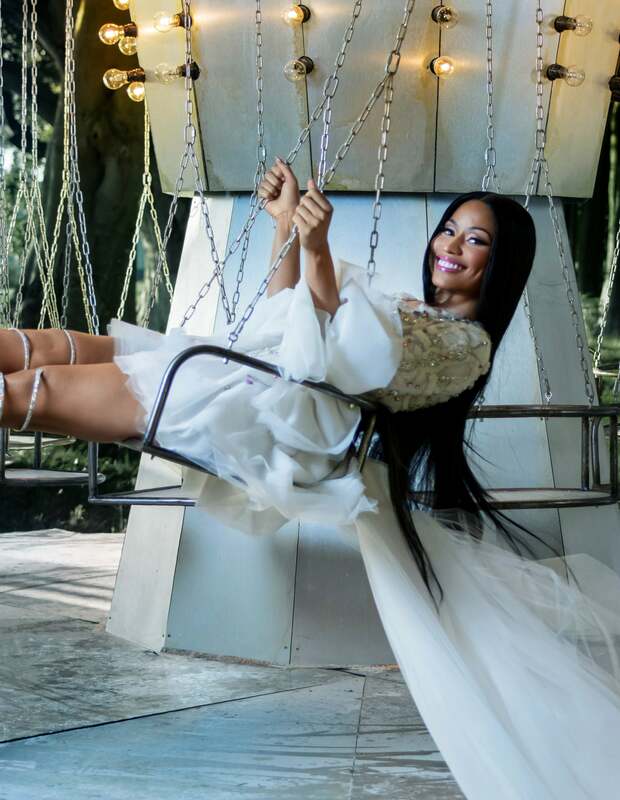 Last week, Nicki Minaj teased her upcoming holiday campaign with H&M and now we’re getting more of a glimpse in the form of a magical film. Today, H&M revealed that their 2017 holiday campaign film will star Minaj as well as actor Jesse Williams, and also show off the brand’s festive fashions for the holiday. The film, which is directed by Johan Renck, is a modern take on the classic fairytale which features a little girl who’s trying to save the holiday season from the evil brother of Santa Claus. In the parallel fantasy world of the film, Minaj plays the little girl’s mother as well as a fairy and Williams plays the girl’s father and a fairy, while the theme of the film is caring for one another. Watch a teaser of the film below, and stay tuned for the full version of the film which will be released on HM.com on November 28. You can also shop the H&M holiday collection in stores and online starting today! DEK: Minaj appears in the film alongside actor Jesse Williams. BODY: Last week, Nicki Minaj teased her upcoming holiday campaign with H&M and now we’re getting more of a glimpse in the form of a magical film. Today, H&M revealed that their 2017 holiday campaign film will star Minaj as well as actor Jesse Williams, and also show off the brand’s festive fashions for the holiday.